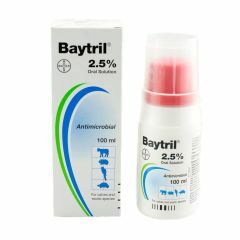 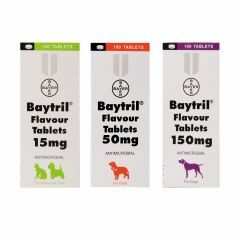 Baytril Flavour Tablets are for use in dogs and cats in the treatment of bacterial infections of the alimentary, respiratory and urogenital tracts, skin, secondary wound infections and otitis externa. 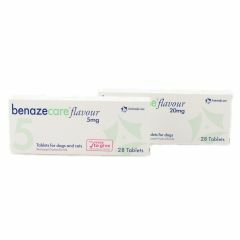 Benazecare is used in the treatment of heart failure in dogs and chronic kidney disease in cats. 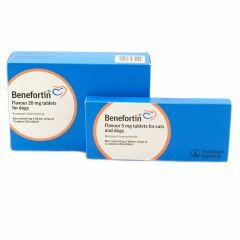 Benefortin Flavour Tablets are prescribed for the treatment of congestive heart failure in dogs or for the treatment of chronic renal insufficiency in cats. 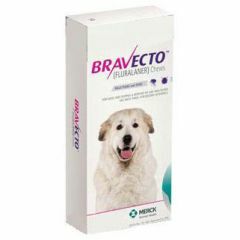 Bravecto chewable tablets for dogs are used to kill adult fleas and are indicated for the treatment and prevention of flea infestations and the treatment and control of tick infestations. 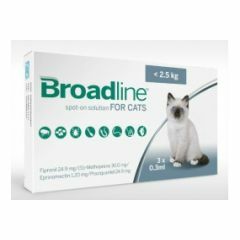 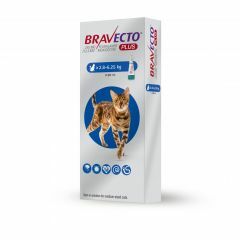 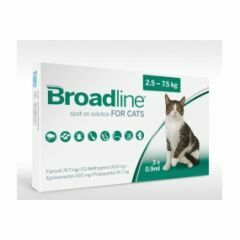 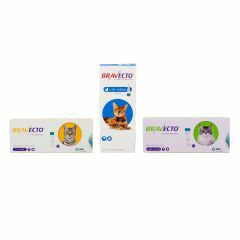 Bravecto Spot On Solution for Cats is for the control of flea and tick infestations on cats for three months. 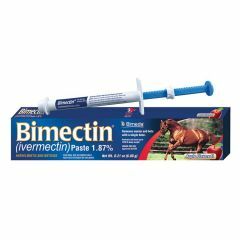 Single pipette. 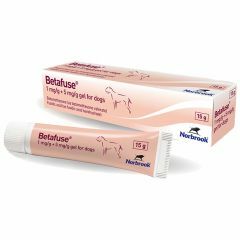 Betafuse 1mg/g + 5mg/g Gel for Dogs is a dermatological gel with antibacterial and anti-inflammatory properties. 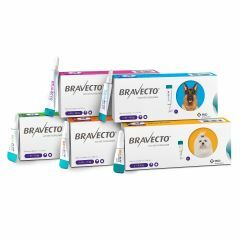 Bravecto Spot-On Flea and Tick Treatment for Dogs is for the control of flea and tick infestations on dogs for three months. 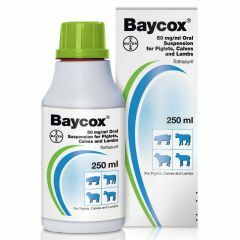 Single pipettes. 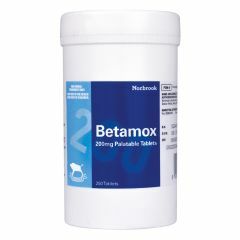 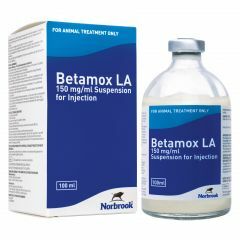 Betamox 200mg Palatable Tablets are suitable for the control of infections in dogs and cats; including infections of the alimentary tract, respiratory tract and urogenital tract, eye and ear infections, and skin and wound infections. 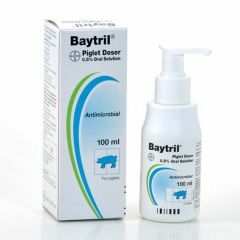 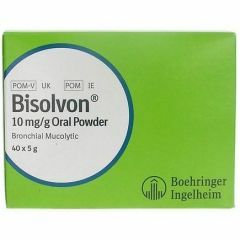 Bisolvon 10mg Oral Powder Sachets are used as an aid to the treatment of respiratory disease in cattle, pigs, dogs and cats where mucus is a complicating factor.